Employers are responsible for ensuring the safety of all employees. Yet some jobs require people to work alone, in remote areas or risky environments, while others necessitate frequent travel. In these cases, it can be difficult for management to know the status of their employees’ safety at all times. SafetyAware by Aware360 is a lone worker safety support solution that leverages IoT and smartphone technology, as well as wearable devices, to connect employees in real time to a 24/7 monitoring centre. 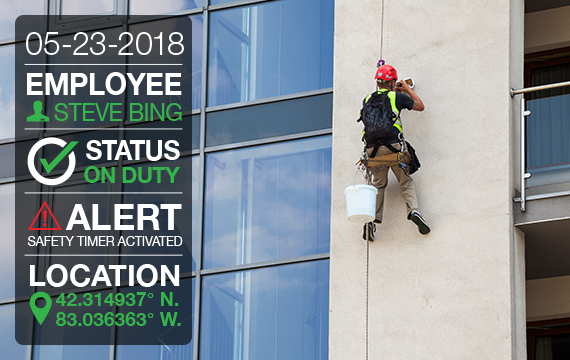 The solution helps to mitigate safety risks by monitoring the location and status of employees and ensuring safety concerns are responded to immediately. SafetyAware is quick to deploy and easy to use. An employee simply downloads the SafetyLink app to a mobile device and signs in to start a shift and set the expected end time. Once a shift has started, the SafetyLink app utilizes the device’s GPS receiver to log the employee’s location, device ID, and company profile with the monitoring centre. A predefined check-in schedule can be applied via the app’s safety timer, requiring employees to verify their status at recurring intervals throughout a shift. In the event that an employee does not check in when notified, an alert is automatically sent to the monitoring centre for immediate action. Employees can also set the hazard timer when they are entering a potentially unsafe environment. Expiry of the timer automatically triggers an alert to the monitoring centre and provides details of the employee’s last know whereabouts. An optional wearable armband also gives employees quick and discrete access for sending SOS alerts at the touch of a button. With flexible options that meet the needs of any organization, SafetyAware, empowers people to stay safe while still staying productive on the job.